The mission of the San Lorenzo Valley Redemption & Recycling Centers (SLVRRC) is to protect the SLV watershed and Monterey Bay by reclaiming materials that would otherwise enter the waste stream. By providing the public with the opportunity to redeem or recycle reusable materials, SLVRRC is part of a global resource conservation effort that seeks more sustainable consumption patterns and reduced impact on our environment. 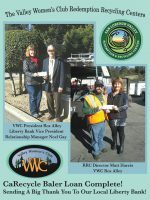 The San Lorenzo Valley Redemption & Recycling Centers (SLVRRC) operates three State-certified redemption and recycling centers as a community service. 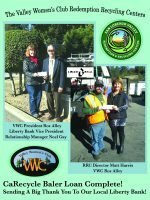 A program of the Valley Women’s Club, SLVRRC works under contract with the County of Santa Cruz to operate recycling centers at the Ben Lomond Transfer Station, as well as smaller centers in Felton and Boulder Creek. All sites accept CRV (California Refund Value) beverage containers for redemption (a refund of the fee paid when you purchase beverage containers). This includes beverages in aluminum cans, bi-metal (steel) cans, glass bottles, and plastic bottles. In addition to the beverage containers, all sites accept other aluminum containers, plastic containers #1-#7 (lids removed), and “tin” cans. Due to the collapsed of the mixed paper market, the SLVRR can no longer accept any kind of paper. Please put paper in your green waste recycling bins instead. Scrap metals, such as iron and copper, as well as eWaste, are accepted at the Ben Lomond Transfer Station. See at left for additional materials accepted at the Ben Lomond Transfer Station. For information and current amounts paid, call 335-1728. SLV Redemption & Recycling Centers adhere to the Santa Cruz County Equal Employment Opportunity/NonDiscrimination Policy. Your donated materials are tax deductible; ask for a receipt. After more than 30 years operating the three Redemption/Recycling centers in the San Lorenzo Valley, the VWC is preparing to close down the centers, effective July 1. The Ben Lomond Transfer Station will continue to provide recycling services without any redemption options. SLV Redemption/Recycling Centers Soon to Benefit from New Baler! The SLV Redemption/Recycling Centers have many things to be very thankful for this year, even though we were challenged by the rapid ongoing reduction in the scrap value of materials that are crucial to help meet operating expenses. We are especially grateful for the Grant received from CalRecycle that will enable us to install a new baler. Due to circumstances beyond our control we are unable to accept or process Styrofoam. We are currently facing long term challenges with the permitting process and equipment issues. 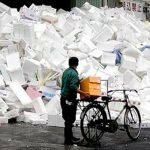 Styrofoam at this time can be taken to the Ben Lomond Transfer station and the Buena Vista landfill as refuse and is subject to a fee for disposal. 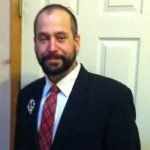 Recycling Centers Enters New Phase- Welcome to new Director, Matt Harris! River & Road Volunteers Cleaned Up! Santa Cruz Community Television is now airing a public service announcement for the SLV Redemption & Recycling Centers. Their volunteers did a nice job putting it together and we appreciate their help in promoting our recycling centers. You can view the ad by clicking here.